Have you ever wondered if you can use Facebook ads as a blogger? With the right image and ad copy you can drive more traffic to blog posts that are already high-converting! This is especially helpful if you're trying to earn more affiliate revenue from your blog! I mean, what would happen if you could double or triple the amount of traffic you are driving? 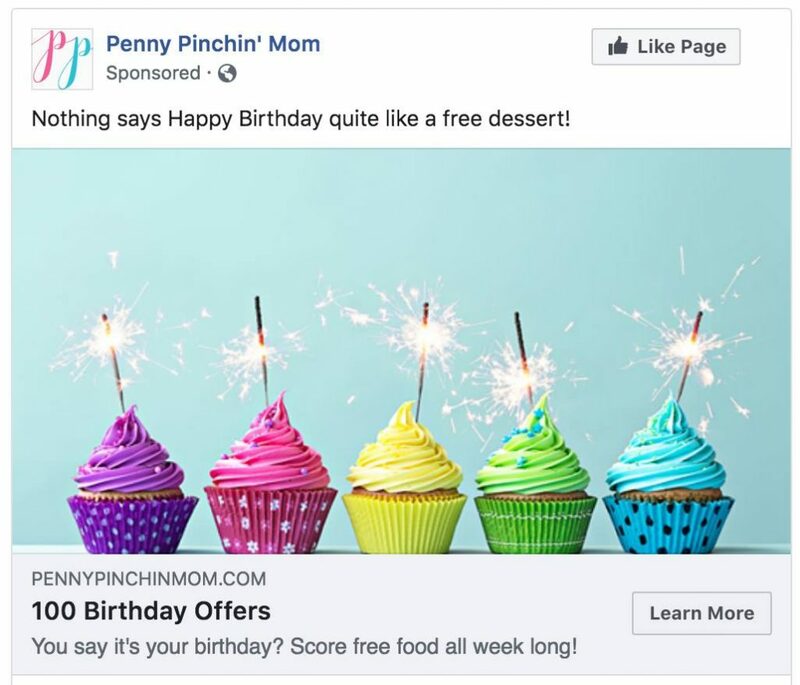 That’s exactly what Tracie Forbes of PennyPinchinMom.com experimented with after completing my course, Flourish with Facebook Ads. 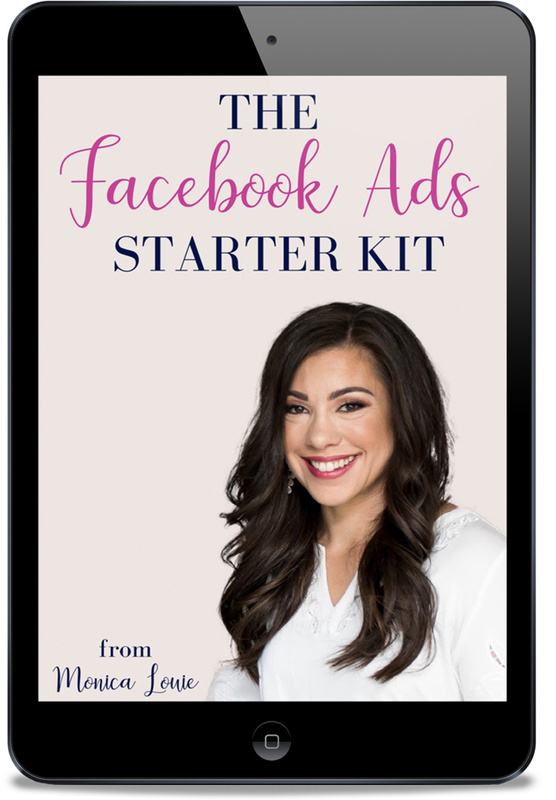 After completing the course, and starting her first traffic campaign using my proven Facebook ads methodology, she made enough revenue in one day to pay for months’ worth of advertising. Let’s find out how she did it, and the exclusive tips she’s sharing so you can expand your income streams with Facebook ads! More than ten years ago, Tracie and her husband began their journey to live a debt free life. Twenty-seven months later they achieved their goal and had eliminated more than $37,000 in debt!! It was during this time that Tracie wanted to help others who also struggled to pay their bills. So she decided to start her own website, PennyPinchinMom.com. Since then, she has helped thousands of readers find their way from under debt and how to better manage their money. In addition to running her own blog, she also teaches other bloggers how to start and run their own successful online blogging business. As a mom and a business owner, Tracie has to be smart with her time. Her goal of learning Facebook ads was to leverage high-converting blog posts and traffic, without putting in a ton of time and energy. It seems like a simple solution, right? If you already have a blog post that’s performing well in terms of affiliate conversions, it’s smart to assume you can earn even more money by simply getting more traffic to that post. It’s a “low hanging fruit” idea that can increase revenue easily! Before signing up for Flourish, Tracie played around with Facebook ads and said she had a cost per click around $0.40! After going through the course and determining her strategy, creating the right audiences, and crafting an eye-catching ad, Tracie was ready to launch her new campaign. And I love the image she picked! It’s bright and eye-catching which is what you want as people scroll through the Facebook News Feed. Within 4 days of starting this campaign Tracie reported a cost per click of $0.06 and it even went as low as $0.04 as you can see in the chart below! Wow, going from $0.40 per click down to $0.06 or less is amazing!! I designed Flourish to have a VIP membership component because I know how valuable it can be to get feedback on your copy, headlines, landing pages, funnels, and overall campaigns. As a VIP member, Tracie also gets access to the members-only Facebook group! This is where she was able to ask questions, share wins and get advice from myself and other members. This can be a super helpful part of the Facebook ads process! Tracie’s campaign was such a successful campaign Tracie shared this about her win in the Flourish with Facebook Ads membership group. Have a strategy! Don’t keep throwing darts blindly and hoping they hit the target. Create a plan and take aim — you’ll have more successful results! Tracie’s plan was to increase traffic to already converting posts in order to maximize her income. It’s a very specific strategy, which is all the more reason I believe she was able to achieve such great results! “Trying to start before finishing [the course],” she says. Tracie, like many people, started the course, got excited and wanted to jump right into creating an ad before reading ALL of the material in the course. That’s like baking a cake without reading through the whole recipe — you need to make sure you have all the ingredients first! While this might be okay, I really recommend reading through all the material first because there are so many different components to creating a high converting low cost Facebook ad. She also suggests to not be afraid to get started with Facebook ads. However, if you don’t have a lot of time right now and want an accelerated course check out my FREE Facebook ads challenge coming up! 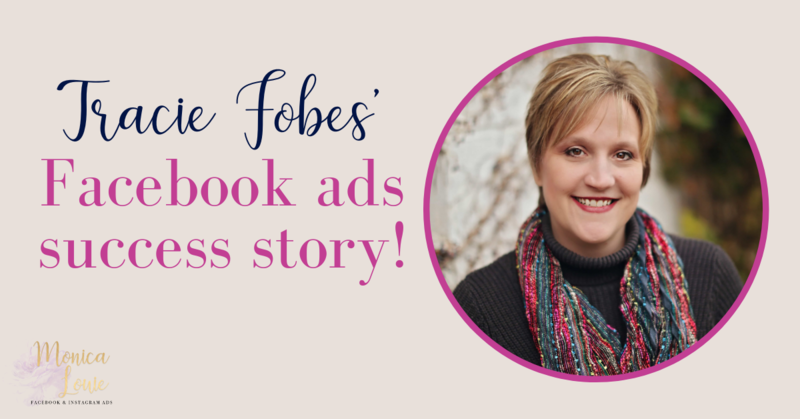 If you're ready to create your own Facebook ads success story, click here to learn more about Flourish with Facebook Ads!